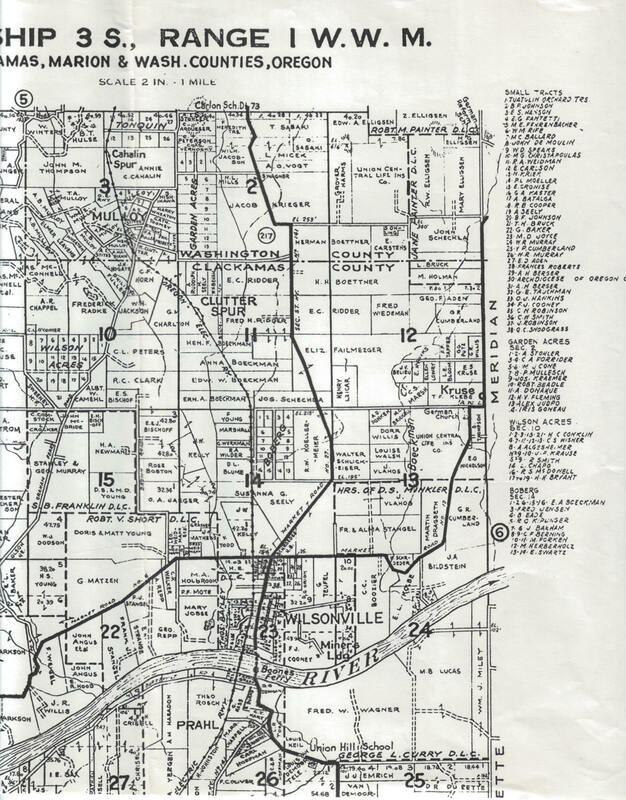 This 1951 map is of the area around Wilsonville. Scale should be ignored. Notice there is still no road bridge across the Willamette, only the railroad trestle and Boones Ferry. The I-5 bridge opened in 1954. This map overlaps slightly with the 1951 West Section and the 1951 South Section.